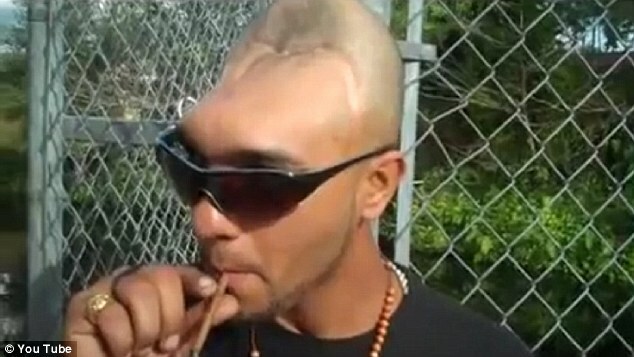 A bad boy who was left with half a head following a dramatic accident has spoken out for the first time – blaming his astonishing appearance on a drink and drugs binge. 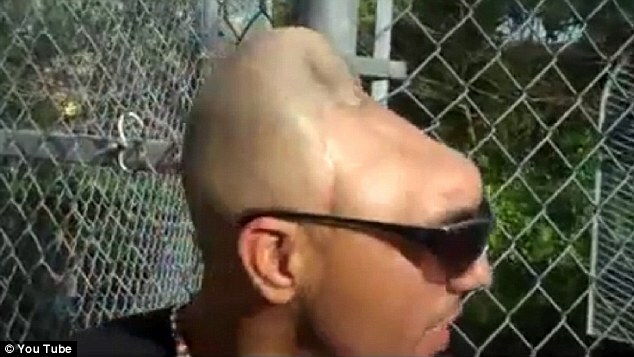 Carlos ‘Halfy’ Rodriguez, who also goes by the name Sosa, lost a large portion of his brain and skull in a crash after flying through his car’s windscreen and landing head-first on the road. In a new video he has used his appearance and story to warn others not to drink and take drugs. Doctors were forced to cut away large amounts of flesh and bone to help him survive and he has since been able to continue his life in Miami, Florida. ‘I was barred out on drugs. I was driving and I hit a pole and flew out the front window and landed on my head,’ he said in a new warning message on You Tube. According to the German tabloid Bild he had the accident aged 14. ‘I was with a cousin and a friend stole the car, there was a near-fatal car accident. As the speed was too fast we lost control of the car and crashed,’ he said. 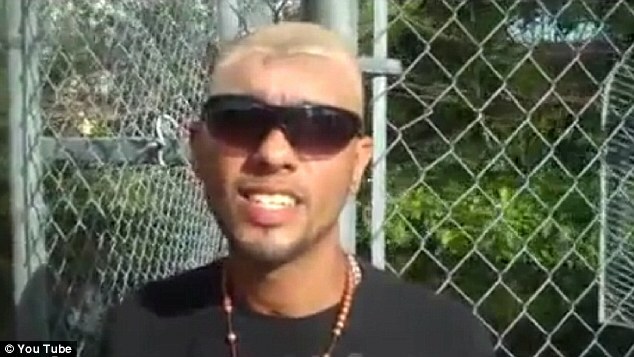 Mr Rodriguez shot to fame two years ago after he was was arrested for allegedly soliciting prostitution. 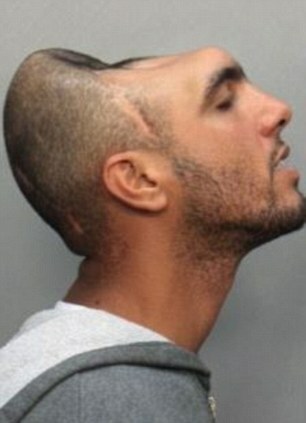 Miami Police had problems with their paperwork and his forms contained no name and simply the description ‘half a head’. 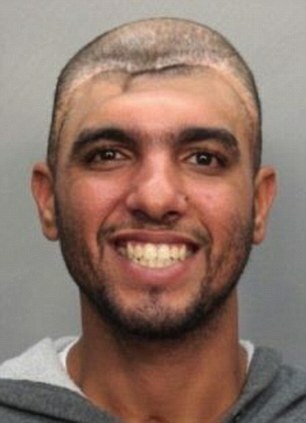 His mugshots, showing his missing forehead and battered skull, spread across the world online but many thought that it was a hoax. But despite his serious message to stay away from narcotics, it appears that he is yet to change his ways after admitting he still smokes a lot of drugs. In a bizarre tirade he also accuses American President Barrack Obama of doing the same. ‘This is what I do daily: burn a stake,’ which is slang for a joint. ‘Obama is the President of ya’ll United States and he smokes. (Expletive) has the whole White House growing. ‘Then why can’t I smoke me a blunt?’. 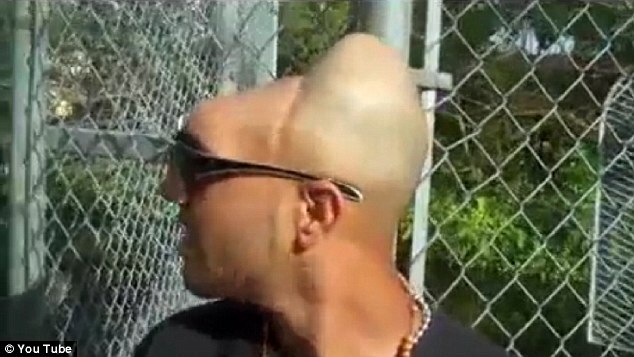 ‘Halfy’ is not the only person to survive with half a head, as several other Britons have done the same. 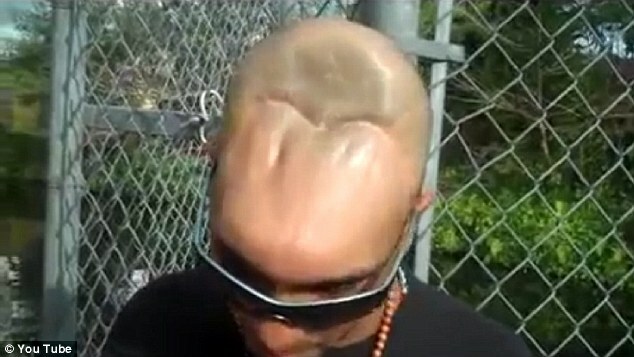 Teenager Ben Maycock was lucky to be alive after a brutal hammer attack left him a huge dent in his skull in 2010. The vicious assault left Ben’s head shattered – and doctors had to hack away huge chunks in a battle to save his life. Medics at Queen’s Medical Centre, Nottingham, doubted Ben would survive his horrific injuries, and told his grief-stricken mum to prepare for the worst, but incredibly, he survived.